In a previous article I described what a punch list is. Summary: When the job has reached the point of substantial completion – meaning that the project is complete and usable, except for a few minor deficiencies – the customer and contractor(s) do a “walk-through” of the project. Together, they compile a punch list, noting any deficiencies that need to be resolved before the customer accepts the work as complete and releases final payment. For this follow up article, it was my intention to provide tips and tricks on how to create punch lists. I was thinking on how to use checklists, how to document items with photos and on how to use digital tools to streamline the process, etc. But while doing my research on this topic I realised that – although useful – there is a topic that’s much more important than how to execute punch lists: putting a good process in place that enables you to go for zero punch lists (or, more realistically, allowing you to reduce the number of items in your final punch list drastically). Some contractors focus too much on working very hard to reach the project completion, getting paid, and move on to the next project. Working very had is fine, but it’s very dangerous to underestimate the importance of dedicating enough attention to quality control along the process. With quality control we mean: making sure execution is conform with the specifications. This can be achieved by being very clear on the specifications from the beginning, and by dedicating enough time for intermediate punching and communication with the owner. A construction project that’s executed without any focus on quality control and with no regular inspections along the way opens the door for a lot of problems, discussions and stress at the end of the project. Initial smaller problems suddenly become big problems during the ‘final’ punch list inspection. The result can be weeks, if not months, working on defects to get the project in line with the contract requirements and releasing final payment by the owner. Quality control as described here above seriously impacts the bottom line of construction projects: problems detected at the very end of the project need repair (and the related overhead), harm your company’s reputation, harm your staff’s motivation (your people don’t want to rectify mistakes, they want to work on new projects), prevent monetising your resources on other projects, and keep the owner from paying the final invoice. Knowing a contractor’s average net profit is often less than 10% while common retention amounts are 10%, getting paid that final bill without having to put a big amount of resources into fixing all defects is necessary to prevent your from losing all your projected profit! It should be clear that the cost of failing to implement quality control into your construction process is substantial. Clearly spelled out requirements. The contract and clear specs are the way to achieve this. Frequent communication moments between owner (or it’s representatives) and contractor(s). 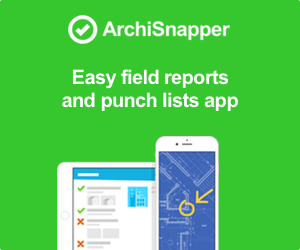 The punch list is the tool to document the observed defects during these periodic inspections. These are two key elements that help towards alignment between the contractors’ and the customers’ understanding of the specifications and will help to achieve that mistakes are either prevented or discovered as quickly as possible. This can avoid discussions, stress, delays, and even financial nightmares down the road. It al starts with a good contract and clear specifications. Make sure all parties all aligned on the exact specifications of what needs to get built. 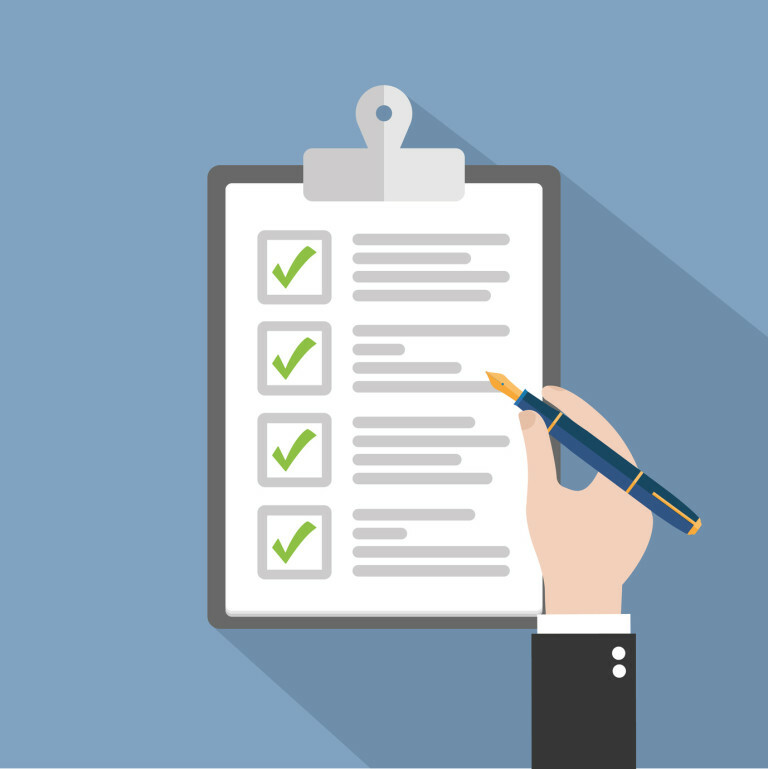 Ensure these specifications are clearly spelled out, with little room for interpretation. If there is no clear view and agreement on the exact specifications when signing the contract, you are taking a lot of risk. There will be misunderstandings, room for interpretation, different thoughts, different meanings, and all of this this can lead to discussion whether something is or is not a deficiency. Remember: in the eye of the customer, everything that does not conform with his specifications (and his interpretation thereof) is a deficiency. So it’s of great importance that these specifications are very clearly spelled out in the designed documents and drawings that come with the contract. Even when the specifications are as clear as possible, there will always be something that goes wrong or is misunderstood (e.g. because of practical reasons, or because something was so obvious that it was not stated explicitly in the design documents and drawings, or because of communication flaws internally or with a subcontractor). 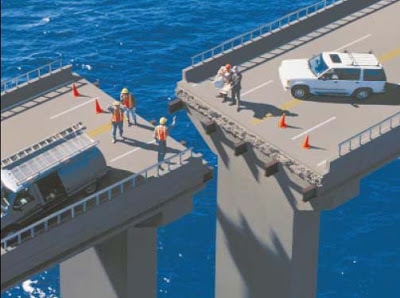 Here is a certainty: mistakes can and will always happen as long as humans are working together on (construction) projects. And that’s exactly why it’s of crucial importance to do regular inspections. By doing regular inspections and intermediate “mini punch lists” we keep the expectations aligned throughout the project and we avoid ugly surprises at the end of the project. These surprises are often very difficult and expensive to correct. These periodical punch-walks should be done together with the customer, at major points in the job. So you might have a walk prior to utilities being closed in, prior ceilings being buttoned-up or a finishes walk. Doing so, the customer can communicate any issues throughout the life of the project to the general contractor and subcontractors to allow early agreement and correction. Correction of each subcontractor’s work will/should be made before that subcontractor leaves the project. Also, by continually aligning on expectations during these walk-throughs you make sure that issues that are discovered at the final inspection are very minor in nature. This saves you from some sleepless nights before but also after the final punch inspection. Creating a punch list starts when the project commences and should be maintained throughout the project, because quality control (defined as making sure execution is according specifications) is not something you can postpone until the end of the project. A punch list (in the form of a regular field report) is the perfect tool to communicate about expectations with your customer: it’s a list of items that should be corrected, together with photos, assignees, notes, indication of the locations on the drawings, etc. By the way, in software development (my original background) this way of developing a project is called ‘agile development‘. The goal is exactly the same: making sure that what is built is corresponding with the customers’ expectations by means of periodic feedback iterations (where the developer shows the customer a demo of the work in progress and the customer can give his early feedback). Also in software development we work with punch lists, but they are simply called TO DO lists. The only difference is that in software development agile development has become common practice and for many years already this has been a very much discussed topic between developers. I believe this is less the case for the construction industry, and there’s more room for improvement. I think a lot of construction companies could benefit from implementing this ‘agile’ way of working. Start implementing these principles today! Although these 2 principles on itself are very simple and no rocket science, continuously applying them and incorporating them into your processes isn’t. As with any change, implementing these principles requires a lot of discipline, especially in the beginning. Project leaders and other people involved need to invest time early on (by making sure specifications are very clear when signing the contract, and by organising periodic punch walks with the customer) to benefit from it later on (towards the project end) with a short punch list, a happy customer, prompt payment and being able to take a fresh start on a new project. Improving requires change, and change requires letting go of habits and comfort, which in turn requires discipline and motivation. 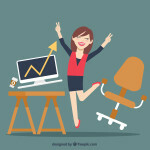 Motivating people can be done by clearly underlining the benefits of the new way of working. Let me give you a hand with this: here are two examples of big defects on public projects that got quite some media coverage. The culture centre of Aarhus: 6,400 sqm of special wind barrier plates need to be replaced (cost: 2 million dollar). The BART Berryessa Station in San Jose: a subcontractor installed 1,400 feet of the wrong sewer pipes under the station. PS: if you’re interested in more tips and best practices for a successful punch list experience I highly recommend this article.